WASHINGTON (CNS) — On the internet, as in society, some blame religion for intolerance. But a set of data gleaned from those who voted in the contentious 2016 election in the U.S. found otherwise. 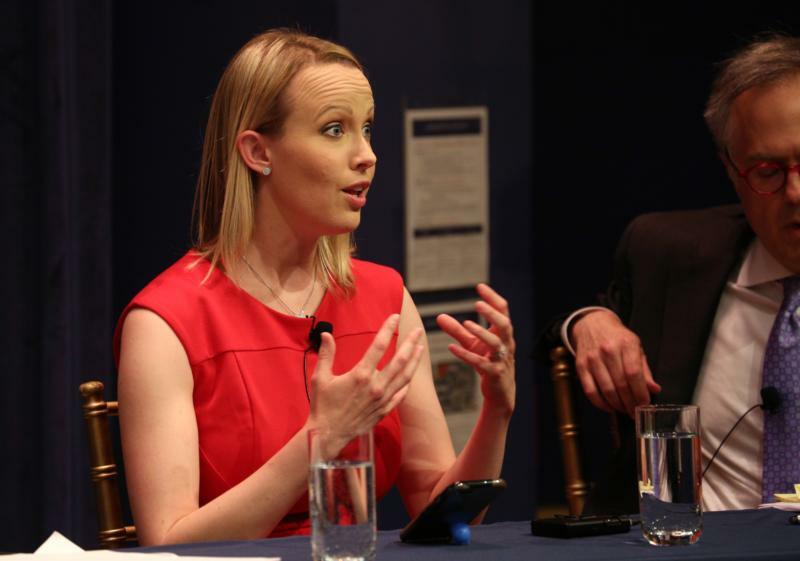 “The stereotype is that those who attend church are less tolerant, when in fact, we are seeing the opposite,” said Emily Ekins, director of polling at the libertarian Cato Institute, during a May 14 panel about “Faith and the Faithful in the Republican Party” sponsored by Georgetown University’s Initiative on Catholic Social Thought and Public Life and the Institute of Politics and Public Service. Ekins explained the religion-based factors that played a part in the 2016 presidential election. One was a dramatic increase in the number of people who left organized religion and who did not subsequently identify with a particular religious denomination, she said. “That number has quadrupled among the general public, but has tripled among Republicans,” she said. Ekins, who looked at data about Trump voters, said the information provided detailed information of people who attended church a lot, a little bit, occasionally, or not at all. “What we found is that (Trump voters) who attended church more regularly tend to have more favorable opinions of racial minorities, African-Americans, and Hispanics, compared to Trump voters that never attend church,” she said. When it came to the travel ban, Trump voters who attend church regularly, “are about half as likely to support a travel ban on Muslims entering the United States compared to Trump voters that never attend church,” she said. And when asked, “How important is it to accept people from diverse religious and racial backgrounds?” Trump voters who attend church regularly are more than twice as likely to say it is important to do so than those who do not go to church, she said. On the other hand “the more frequently someone conservative attends church, the less likely they are to have warm feelings” toward gay and lesbian individuals, she said. Trump voters who attended church also showed more concern about issues dealing with poverty than Trump voters who did not attend church regularly, she said. The increasing number of people who have left organized religion over the past two decades is playing a role, she said, but it’s by no means the only factor in the rise of a candidate with views such as Trump’s. They have redrawn the lines of their community on the basis of immutable traits, she said. “And that, I think, is toxic to having consensus and compromise and having a public policy that works for all people,” she said, but the lack of community once found in faith groups is affecting the way some may see the world. The information came from a 2017 survey of 8,000 voters by the Democracy Fund Voter Study Group.